Hope you all had a great weekend. I was up in Cleveland for a family reunion/graduation party. It was a lot of fun and the weather cooperated, for the most part. 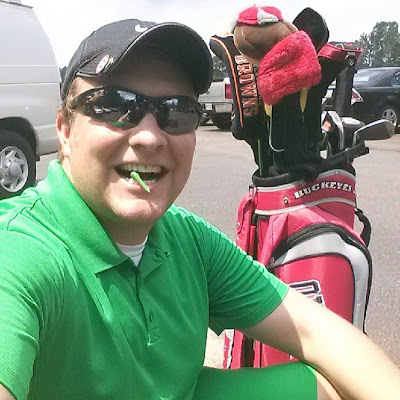 I went golfing Sunday with Dawn's father, brother, and uncle and I finally started playing better. I shot a 44! That is my personal record and finished off the nine holes with a birdie. I retired the ball after the birdie... It is an agreement I made with all of my golf balls. If they give me a birdie then I release them from their duties. I wore green shorts and polo and Dawn's brother had a green tee that he gave me before we played and said, "Here is your lucky green tee." Good times. A soggy start to the workweek. 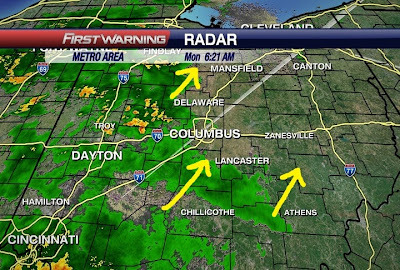 Rain showers moving in this morning and even a little lightning as well. 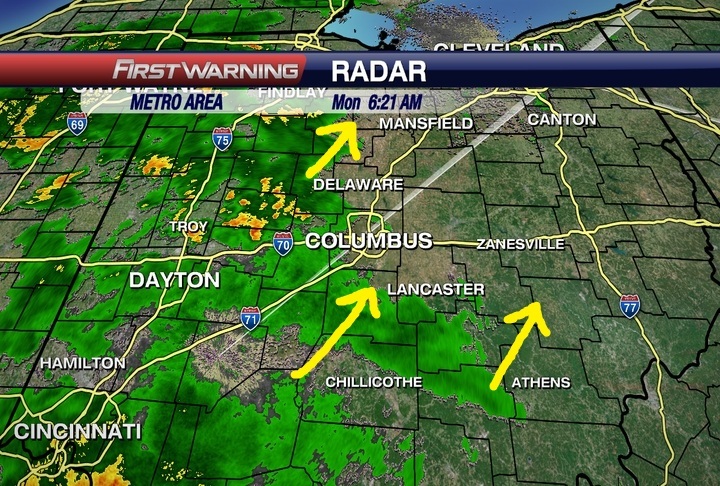 The rain will stick around for most of the day ahead. More rain for later Tuesday and then we try to dry out for late-week. The temperatures will at least only be in the lower 80's through the week ahead. Another cold front pushes in for the weekend, and looks to bring highs back into the 70's. Looking forward to that. Grab the umbrella and have a good one!